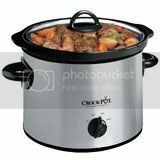 Crock-Pot 3-Quart Round Manual Slow Cooker Stainless Steel now on sale at Amazon.com for ONLY $12.99 (reg $24.99). Free shipping via Amazon Prime or on orders over $25. The handles are open in the middle and easy to grip. The stainless finish is very sleek and attractive. The small bumps around the top perimeter that hold the lid up off the rim a couple of millimeters. This allows moisture out. -Measures approximately 10.6" x 8.7" x 10.7"
For Amazon Prime Members only. 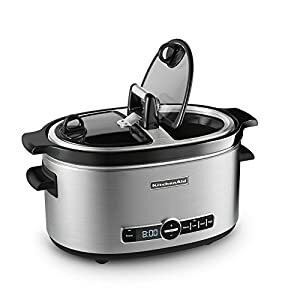 现在这个review极好的 Hamilton Beach 8-Quart Slow Cooker 慢锅降价到目前为止的最低价 for the lowest price it’s been of $22.24 with free shipping! With an 8 quart capacity, this slow cooker is ideal for families or feeding a crowd as it can accommodate a 6 lb. roast or an 8 lb. chicken. Amazon now having this Crock-Pot Programmable Touchscreen Slow Cooker 6.5-Quart on sale for just $59.95 shipped (reg. $79.50). This slow cooker allows you to set your cook time from 30 minutes to 20 hours and has a digital timer that automatically switches the cooker to warm when cook time is up. It also has a removable, dishwasher-safe stoneware and glass lid. 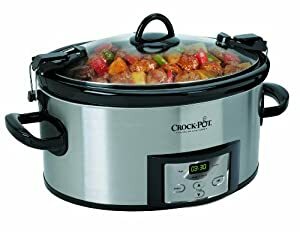 For a limited time only, BestBuy.com now is offering this very highly rated Crock-Pot iStir Automatic Stirring 6.5 Quart Stainless Steel Slow Cooker for only $47.99 shipped (regularly $59.99). 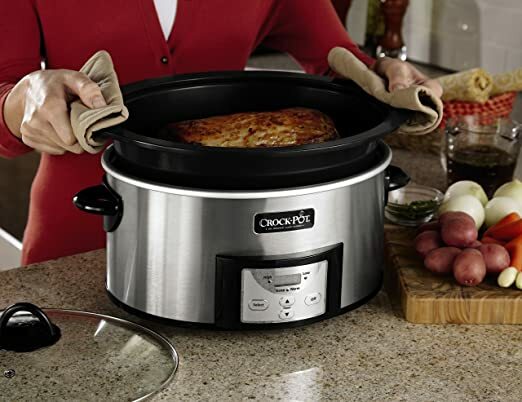 This slow cooker has plenty of room to make large meals with its 6.5 quart capacity stoneware pot. It has five temperature settings and can be programmed from 30 minutes to 20 hours. The automatic stirring function helps avoid burnt edges and to keep your food evenly cooked and mixed. 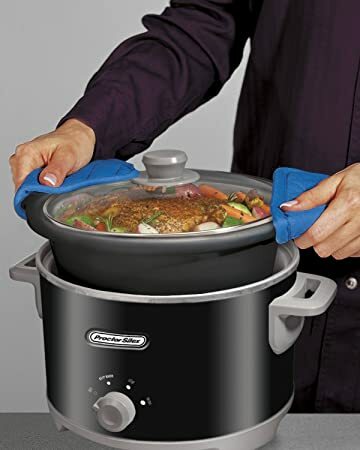 This 4 Quart Slow Cooker has 3 heat settings and a removable stoneware liner so it’s easy to clean! 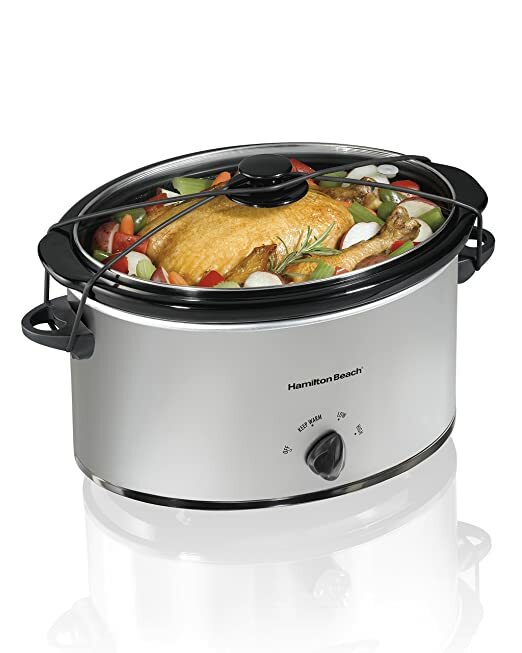 Today only, BestBuy.com now they are offering up this Hamilton Beach 3-Quart Slow Cooker for only $9.99 (regularly $19.99). This slow cooker is compact yet large enough for a three-pound chicken or a two-pound roast. The stoneware is oven, microwave and dishwasher safe. This would be great to grab for a wedding gift! Amazon 现在 this highly rated Crock-Pot 6-Quart Programmable Oval Slow Cooker with Dipper in Stainless Steel for the lowest price of $27.99 (reg. $54). The 6-quart capacity is perfect for 7 or more people or a 6-pound roast. It features a removable oval stoneware, programmable digital control that lets you program cook times anywhere from 30 minutes up to 20 hours, has a warm setting, is dishwasher-safe and much more! 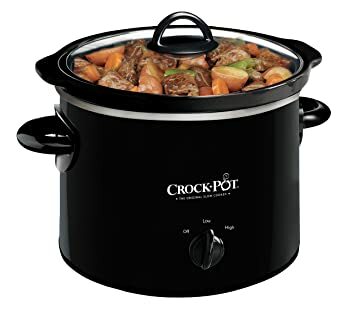 Amazon.com now you can get this Crock Pot 7-Quart Oval Slow Cooker for only $17.99. This Crock Pot features a 7-quart dishwasher safe, stoneware pot and is perfect for roasts, soups, chilis, and so much more! For a limited time only, Macys.com now you can get this KitchenAid 6-Quart Slow Cooker for only $99.99 (regularly $144.99). Even better, submit for this $30 mail-in rebate (expires 9/11) and after the rebate, you’ll pay just $69.99 shipped! 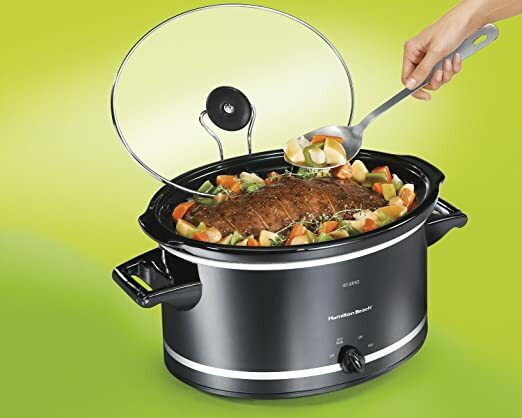 This highly-rated slow cooker features 24-hour programmability, has 4 different temperature settings, and a removable and dishwasher-safe ceramic insert. Amazon now you can get this KitchenAid 6 qt Stainless Steel Slow Cooker with Easy Serve Glass Lid for only $48.49 shipped! Add to cart to see the price! This oval-shaped ceramic cooker has four temperature settings that can be programmed up to 24 hours ahead of time. The Easy Serve Lid is dual sided and hinged for easy use! 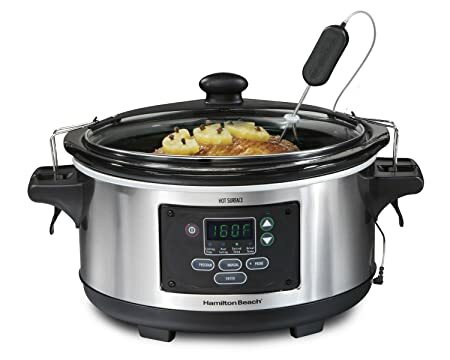 Amazon now you can get this Hamilton Beach 7-Quart Slow Cooker for only $20.30 – the lowest price on record! This slow cooker can cook an 8 pound chicken, two 4 pound roasts and more! While supplies last, Walmart.com now get this Pioneer Woman 6 Quart Portable Slow Cooker in Country Garden for only $24.96. Free in-store pickup. These crock pots fit a 4 lb. roast or 6 lb. chicken and are easily portable with their clips that seal the lid in place so there is no spilling in the car! Plus, the removable stoneware and glass lid go in the dishwasher for easy cleanup! Amazon now get this Oster Triple Warming Tray Buffet Server for just $22.47 (regularly $49.94) – this is the lowest price ever on Amazon! This warming tray includes three 2.5-quart buffet pans with lids so you can keep three different dishes warm at once, and you can use the temperature control to adjust the level of warming. Even better, cleanup is easy as the buffet pans are all dishwasher safe. Walmart.com now get this Farberware 6-Quart Slow Cooker with Mini Dipper for only $13.99 (regularly $21). This slow cooker features a 6-quart dishwasher safe, stoneware pot and is perfect for roasts, soups, chilis, and so much more! The Mini-Dipper is great for dips and sauces or even small appetizers. Walmart.com get this Crock-Pot Connectable 3.5 Quart Warmer in blue for just $25.20 (regularly $36.34)! Free in-store pick up. 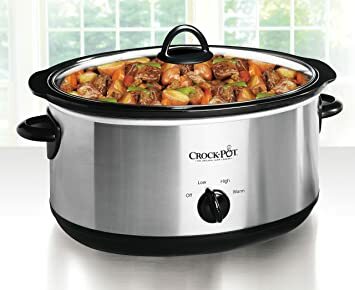 This connectable Crock-Pot is perfect for holding appetizers, dips, and finger foods, but is big enough for small roasts and more. Connect up to six units using one outlet for serving or cooking in tight spaces. Even better, the stoneware insert and glass lid are dishwasher safe for easy clean up. Amazon now you can get this Proctor-Silex 4-Quart Slow Cooker for just $9.01 (regularly $14.39) – lowest price! This slow cooker is super easy to clean as both the stoneware and glass lid are dishwasher safe! 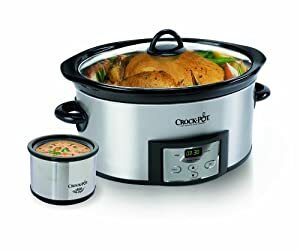 Amazon.com now you can buy this Crock-Pot 6-Quart Cook & Carry Slow Cooker for only $35.99 shipped (regularly $59.99). This Crock-Pot features a digital countdown control so that you can program cook times anywhere from 30 minutes up to 20 hours and it shifts to the warm setting automatically when cooking has been completed. The locking lid keeps food secure while on the go making this great for picnics, tailgating and parties! 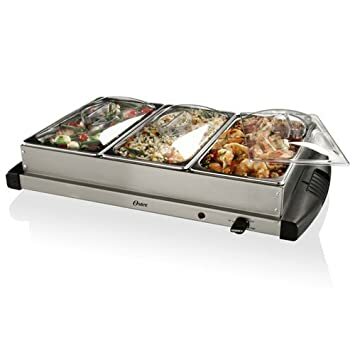 Today, November 12th only, Target.com now you can get this Oster Buffet Server in Stainless Steel for only $18.75 shipped (regularly $39.99) after the 25% off in instant savings when you head to checkout! This buffet server features three 2.5-Quart buffet pans with transparent lids and a warming tray with a 20″ x 13″ heating surface that can be used separately and has variable heat control! Perfect for keeping all of your delicious Thanksgiving dishes warm. 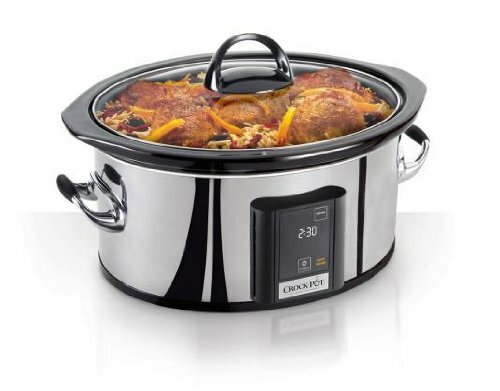 Amazon.com now get this Crock-Pot 6-Quart Countdown Programmable Oval Slow Cooker with Stove-Top Browning for only $38.40 shipped (regularly $47.99) – lowest price ever! This Crock-Pot features a ceramic-coated pot that can be used for stove-top browning and then placed in the slow cooker – perfect for beef, pork and more. The digital timer allows for cooking times ranging from 30 minutes to up to 20 hours. Amazon now you can get this 2-Quart Crock-Pot Manual Slow Cooker for just $8.49 (regularly $17.99)! This slow cooker is good for 1-2 people and great to keep dips warm. It features a removable, dishwasher-safe stoneware insert and a dishwasher-safe glass lid. 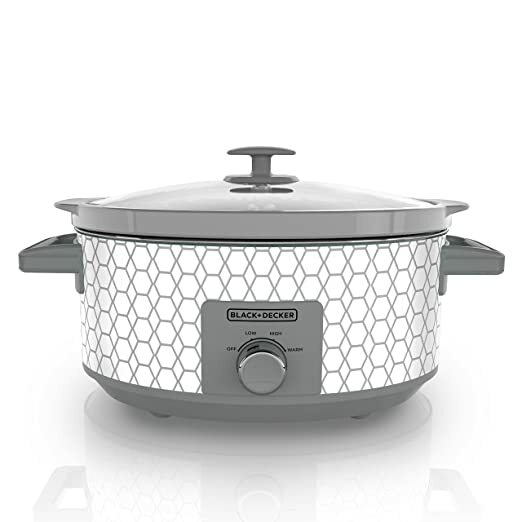 On Amazon.com you can now buy this Black + Decker 7-Quart Slow Cooker in geometric cream for only $22.71 shipped after you clip the 20% off coupon located under the price. 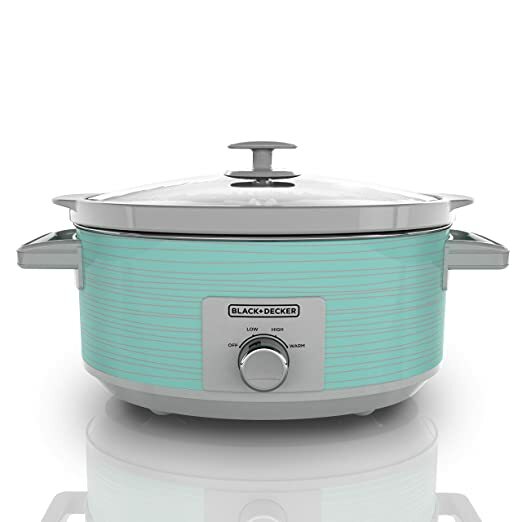 Or, get this same slow cooker in teal for only $24.79 shipped after you clip the 20% off coupon. These slow cookers have three heat settings, a built-in lid holder, removable crock and cool touch handles. 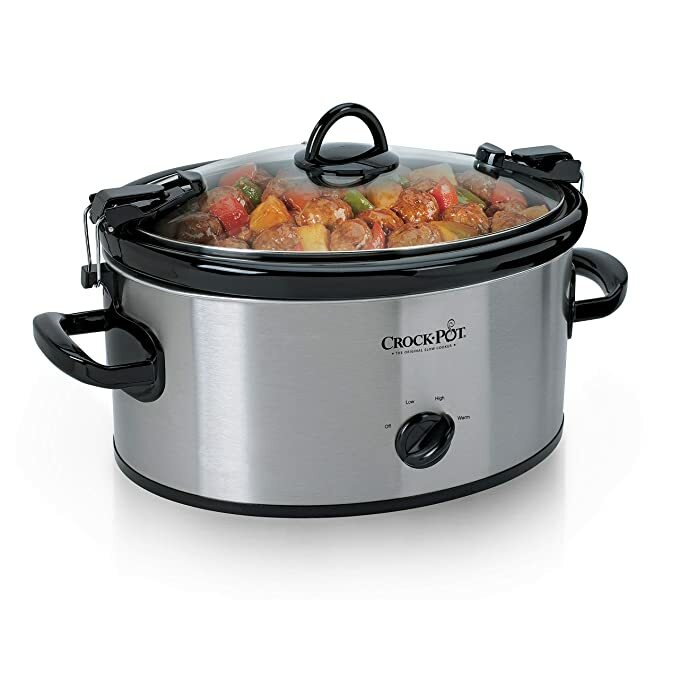 Today, April 6th only, on BestBuy.com where you can get this Crock-Pot 5 Quart Cook & Carry Slow Cooker for only $19.99 (regularly $34.99). This Crock-Pot has three temperature settings including high, low and warm to give you flexibility when cooking. The 5-quart capacity is perfect for families, and it comes with recipes for great meal ideas. The removable stoneware and lid are dishwasher safe for easy clean up. 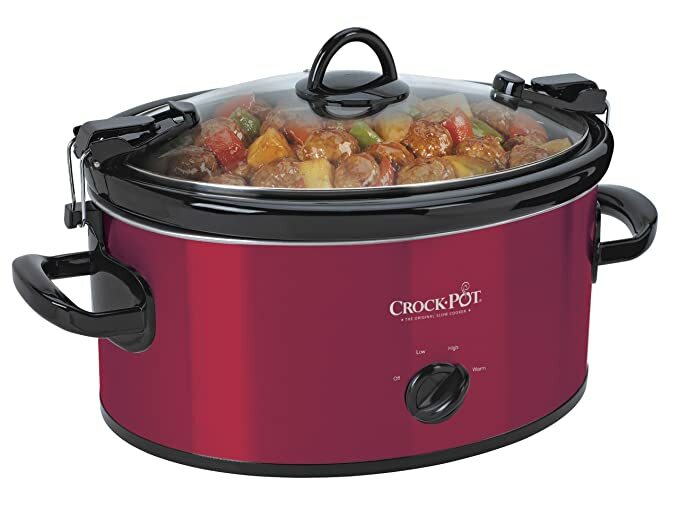 Amazon.com now buy this Crock-Pot 6-Quart Cook & Carry Oval Slow Cooker in red for just $26.70 (regularly $39.99). This is the best price we’ve seen for this on Amazon.com! The carrying handles and clip on lid make this slow cooker great for potlucks and parties and the large 6 quart size serves up to 7 people! Plus, the stoneware insert and glass lid are dishwasher-safe for easy clean up – love that! On Amazon where Prime Members can get this Hamilton Beach 6-Quart Slow Cooker with Temperature Probe for just $34.08 shipped (regularly $49.99). This slow cooker has three smart settings – probe, program and manual – and allows you to cook foods to a specific temperature and for a set number of hours on different settings for up to 24 hrs. 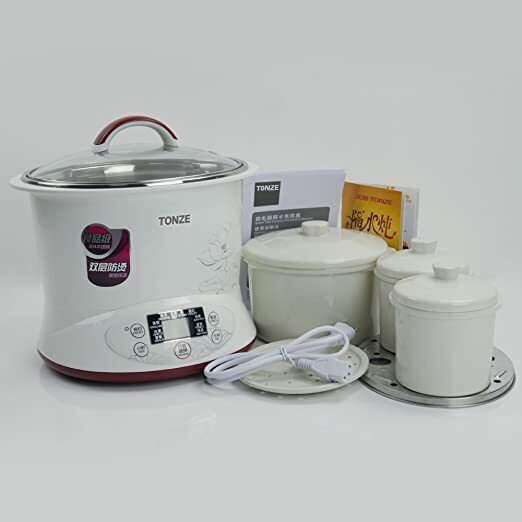 It also offer advanced features like a temperature display and probe to minimize the chances of overcooking your food. On Amazon.com (for Prime Members Only) where you can now get this Crock-Pot 6-Quart Cook & Carry Slow Cooker in Red for just $19.35. This Slow Cooker is 6-quarts and features a high/low/warm settings. The locking lid keeps food secure while on the go making this great for picnics, tailgating, and parties! Plus, the glass lid and stoneware insert are dishwasher-safe.